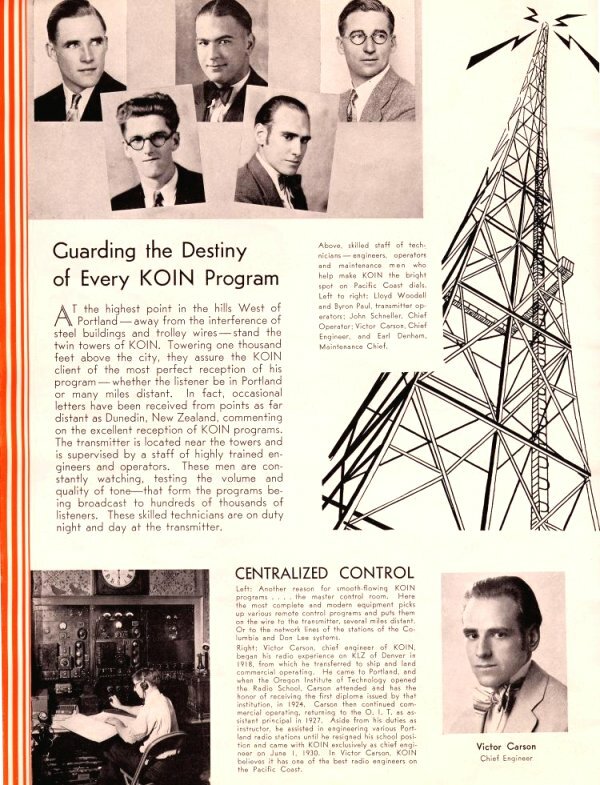 KOIN Radio signed on the air in Portland on November 9, 1925 as KQP and it was founded by Harry Read. C.W. Myers was the Business Manager at The Portland News and he was responsible for the operation of KQP. 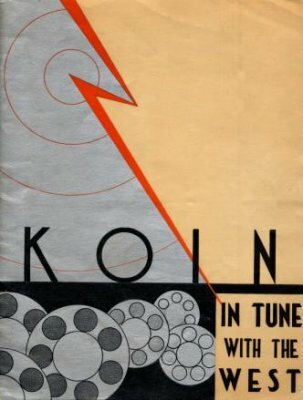 The call letters were changed to KOIN on April 12, 1926. 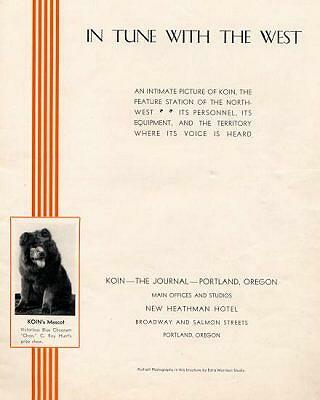 On June 21, 1926, KOIN moved to new studios in The Heathman Hotel from its previous location in The Portland Hotel. 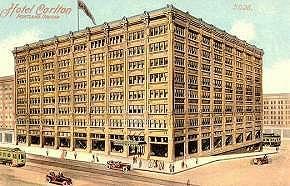 KOIN soon outgrew its studio space in the basement of The Heathman Hotel and on December 17, 1927 KOIN moved again to new studios in the New Heathman Hotel. Live music made up 8 out of 12 programs during the day and KOIN maintained its own orchestra of versatile musicians and in the early days. The first conductor of KOIN’s Orchestra was Mischa Pelz. Live music was featured four hours a day during the first two months on the air and within six months, it was featured as much as eight hours a day. 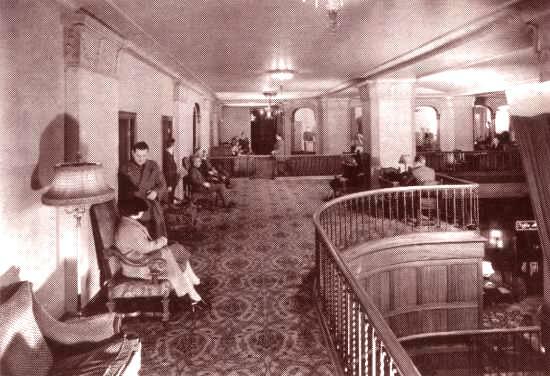 A new pipe organ was purchased in 1926 for $25,000 and it was installed in the hotel studios. Live music was KOIN’s mainstay. KOIN’s staff of performers and musicians was larger than all of Portland’s other stations combined. The beautiful mezzanine housed KOIN Offices and Studios. 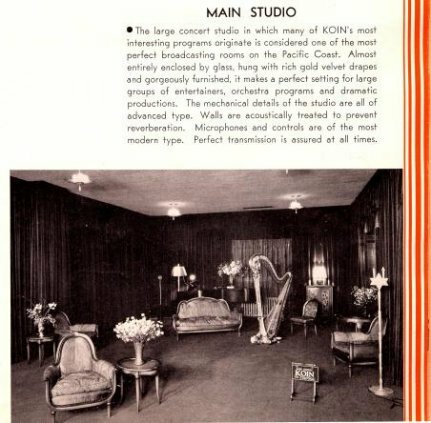 Pictures of KOIN Studios from the early 1930s. 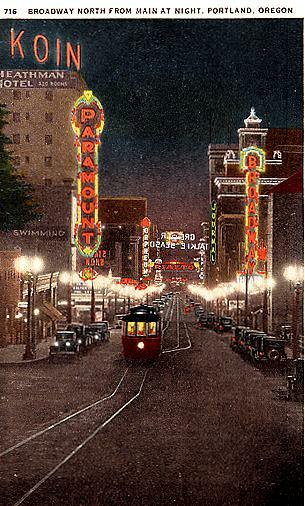 1920s view of Broadway at night showing the Heathman Hotel and KOIN’s neon sign which lit up the night until the 1950s. Portland’s KOIN KLOCKERS had a popular morning show. The KOIN KLOCKERS were on the air every morning except Sunday at 6:15. KOIN KLOCKERS Walter Stewart, Jack Lenard, Bob Henderson, emcee, and Frankie Trevor. KOIN listeners were encouraged to join the KOIN KLOCK FAMILY and they could get a Certificate of Membership. 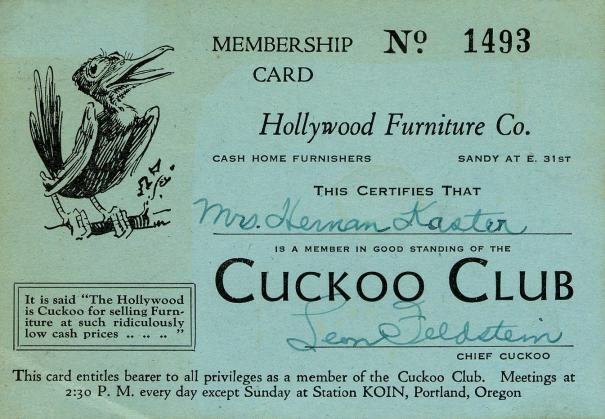 KOIN’s Cuckoo Club held sessions every day at 2:30 in the afternoon. 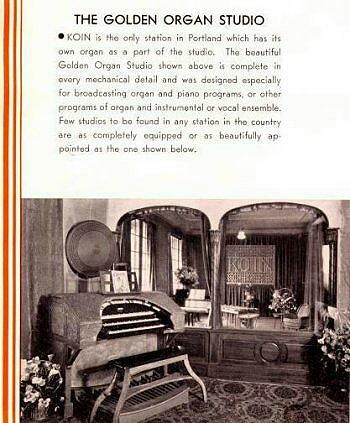 By 1931, KOIN had 60 employees, many of them musicians. Many of KOIN’s programs aired nationally and they won several awards for the station. Jane Powell, who was born Suzanne Burce in Portland, Oregon on April 1, 1929, began her singing career on KOIN radio at the age of seven. The Burce family moved to Los Angeles in the early 1940s and Jane Powell landed a part on the radio show, "Hollywood Showcase." She sang an aria from "Carmen," and impressed the audience. As a result, she was booked on the Charlie McCarthy radio show and offered an MGM contract. Powell shot to fame on the silver screen in leading roles at MGM and went on to find enormous success in the movies. The war years of the 1940s were big at KOIN as they promoted the sale of War Bonds and collected donations for the war effort, setting records. With its transmitter atop Barnes Hill in the west hills of Portland, KOIN’s early audience reached from the Portland area to California, Idaho and Nevada. 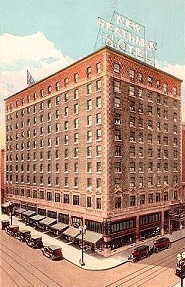 In 1944, KALE Moved out of the New Heathman when KOIN was sold. 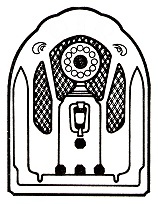 During the 1950s, television came to Portland and KOIN TV went on the air in 1953. 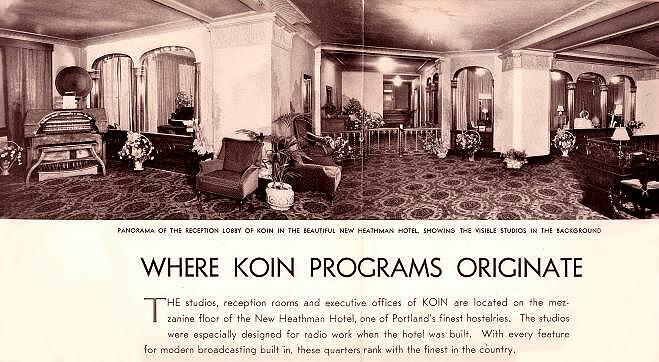 KOIN radio left the New Heathman when it moved to larger quarters in 1955 with KOIN TV. 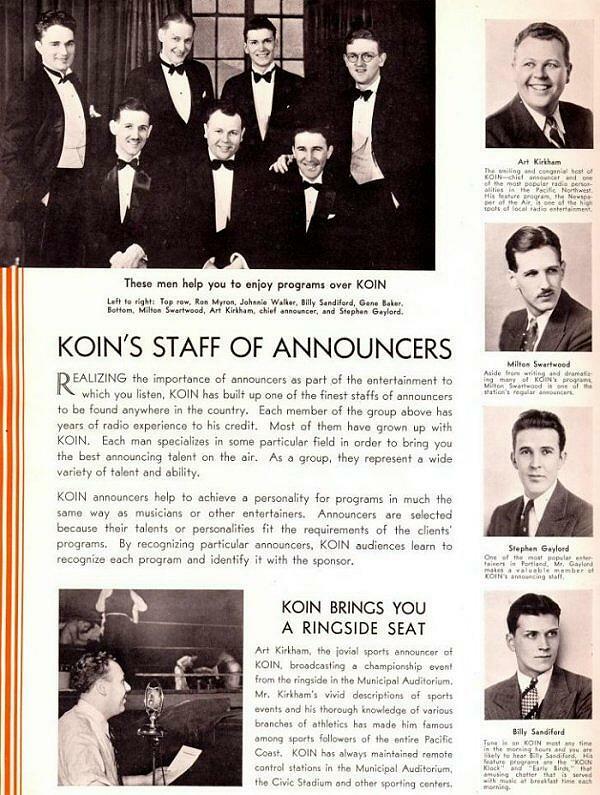 By 1958, KOIN was one of only six radio stations in the country with musicians on the staff. In 1971, live music broadcasts were dropped completely. In 1977, the call letters for KOIN Radio were changed when they traded an old KOIN for a new KYTE. The KYTE flew away with the disco era and another Portland icon was lost in the name of progress.